Yet another startup appears to have run afoul of India’s current charged political climate. Twitter users are calling for a boycott of India’s largest travel aggregator after its cofounder appeared to post against the government’s plan to impose restrictions on the consumption of beef across the country. 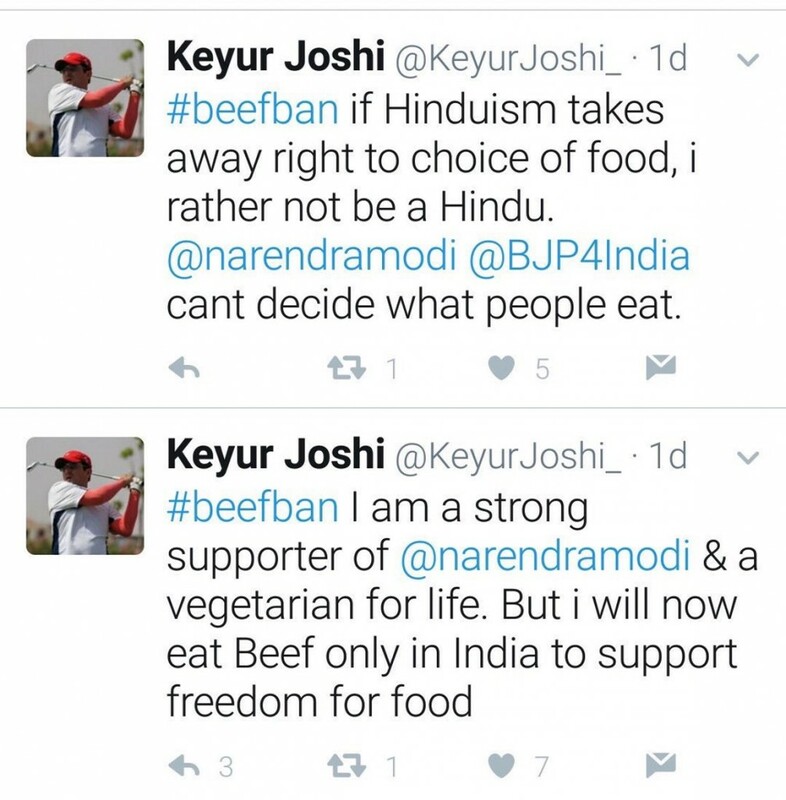 Keyur Joshi, who’d cofounded MakeMyTrip in 2000 and served as its COO, had tweeted that he’d rather not be a Hindu if Hinduism took away the people’s right of choice of food, and said that Narendra Modi and the BJP can’t decide on what India’s citizens eat. He said that even though he was a supporter of Narendra Modi and a vegetarian, he’d now eat beef in India to support freedom for food. 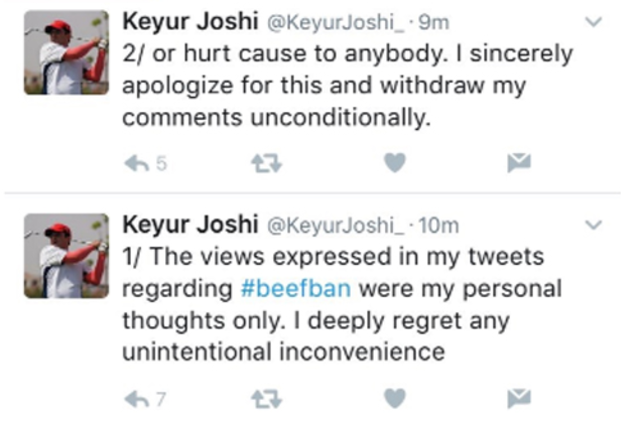 Soon after the tweets were posted, online commentators started attacking Joshi for his views, and threatened to boycott MakeMyTrip. Joshi appeared to take note of the backlash, and said he was unconditionally withdrawing his statements. He’s since deleted his original tweets and even deactivated his Twitter account. MakeMyTrip also issued an official clarification, saying the views were Joshi’s own and not those of the company. It also said Joshi was no longer an active employee, though Joshi’s LinkedIn still lists him as the Chief Operating Officer and Strategic Advisor. MakeMyTrip’s clarification, and Joshi’s apology appears to have done little to assuage online commentators, who are still angrily tweeting about boycotting the company. BoycottMakeMyTrip was trending today on Twitter, with several users sharing screenshots of them deleting its app. MakeMyTrip is India’s largest travel aggregator, having acquired Ibibo last year, and runs its own portal, GoIbibo.com and Redbus. It is among the few Indian startups that has gone public, and its stocks currently trade on the NASDAQ. #BoycottMakeMyTrip I am a long standing customer but today, I will stop using. This isn’t the first time an Indian startup has managed to hurt the sensibilities of some citizens, and faced an online backlash as a result. In 2015, Twitter users had threatened to boycott Snapdeal after Aamir Khan, its brand ambassador, had hinted that he wanted to leave the country because of a supposed wave of rising intolerance. Snapdeal had to face the ire of users this year as well, after angry online commentators mistook it for Snapchat, whose CEO had allegedly called India a poor country.